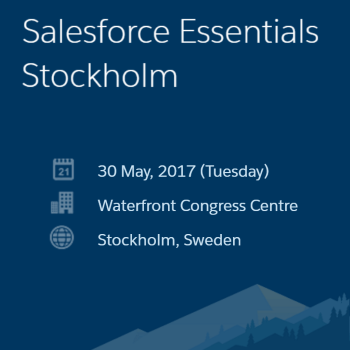 At Salesforce Essentials on May 30th you will learn how you can connect to your customers in a whole new way. This is going to be an incredible day of discovery for companies looking to ensure they are ready for tomorrow’s hyper connected world, with access to the most innovative speakers such as Linda Hill, TED speaker, author and Professor at Harvard Business School and Aaron Frank, writer, speaker and Principal Faculty at Singularity University. You will also get the opportunity to participate in exiting sessions, inspiring keynotes and a lot more. Join us for a day of innovation, inspiration and learning where you will.